Dubai: Finding the right doctor and securing an appointment in the UAE will now be a breeze, with the launch of a new online tool that seeks to improve the way people access health services. The Dubai Healthcare City (DHCC) has recently partnered with a healthtech start-up to introduce an instant online appointment system, which allows patients to search and book a general practitioner (GP), eye doctor or any other medical professional by specialty, insurance policy, location and even language spoken -- in less than 40 seconds. The new portal shows which registered physicians or specialists from different hospitals and clinics are available, in real time. And what’s more, patients don’t need to speak to a hospital staff, as bookings are confirmed via SMS, and email reminders will also be sent out. And, should they choose to cancel their booking or re-schedule, patients can conveniently do so without the need for making a phone call. The application, which is free of charge for patient and is now live on the DHCC site (www.dhcc.ae), has been rolled out in partnership with Okadoc, a start-up that seeks to be the Amazon of healthcare providers by bringing together the country’s doctors from different hospitals and clinics in one marketplace. Alternatively, patients can also download the Okadoc app on the App Store or access it through Okadoc.com. 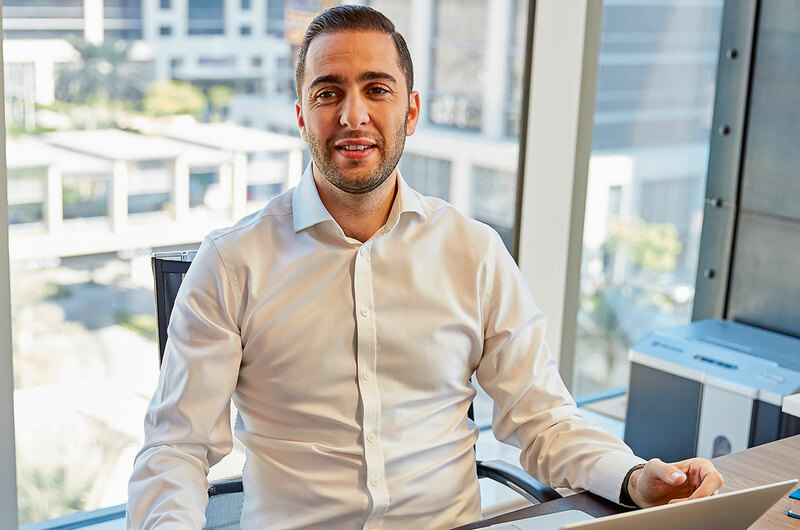 “As of January, Okadoc’s platform is fully integrated with the website of Dubai Healthcare City (DHCC), offering patients instant online appointment system with specialists from DHCC-based Emirates Specialty Hospital, Eye Consultants and Digestive health and Endoscopy Consultants, among others,” said Fodhil Benturquia, CEO and founder of Okadoc.com. Omar Oumeish, executive director of DHCC, said the system doesn’t just seek to improve patient experience, it’s also meant to save physicians’ valuable time. One of the problems faced by healthcare providers is that some patients don’t show up for their appointment. In the UAE, no-show rates are quite high, estimated to be around 37 per cent. The problem is that half of the patients forget about their appointments, while about 40 per cent are unable to call in time to cancel. “We recognise the importance of improving patient care and patient experience, and understand the concerns shared by our providers in the free zone who have to deal with inefficiencies and lost revenue due to no-shows,” said Oumeish. Okadoc intends to enlist most of the clinical partners at DHCC by 2021, to provide wider options for patients. “We want to achieve a market penetration of 30 per cent by 2022. This would make the UAE the country with the highest per capita number of doctors accessible through an online marketplace solution like Okadoc,” said Benturquia. Benturquia said the app is the only tool in the UAE that offers patients access to doctors from different hospitals and clinics, and enables them to choose their preferred doctor based on a number of criteria. “Other portals offer online booking requests and not confirmed appointments. Patients express their interest for an appointment online, however, they cannot book a confirmed appointment before they have a telephone interaction with a hospital staff,” said Benturquia. The healthtech start-up has already secured an initial funding and is looking to generate more funds. “The funds we have raised so far will establish Okadoc as the best-funded healthtech start-up in the GCC region. We are very satisfied with the interest and commitments from investors to date, and we will be in the position to share more details soon,” said Benturquia.